Shred on us! 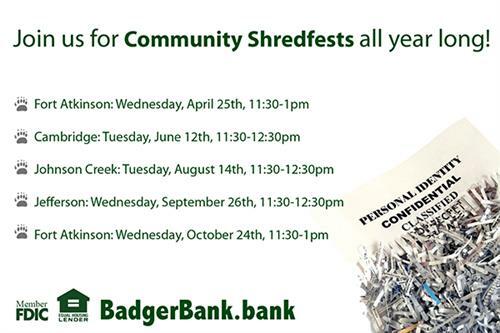 Bring your confidential documents (up to 5 bags or boxes) to our Fort Atkinson location for shredding. No newspapers, cardboard, metals, magazines or plastics accepted.